Home › Siding › Vinyl siding thickness, does it matter? Vinyl siding thickness, does it matter? Wall sidings are important element of a house which provides external protection, insulation and that aesthetic view. Wall sidings are available in different materials and makes. They are made of different procedure, have different hardness, thickness and sizing. Composite and fiber wood sidings are becoming the best sought after options due to its ability to resist different weather conditions, rotting, pest infection, fire etc. They are also available in multiple designs and colors. They are relatively durable and low cost since they are synthetic. There is also the other kinds of Vinyl Sidings. Thicker siding can withstand more damage. Vinyl Sidings are wall sidings which are primarily made of PVC (Poly Vinyl Chloride), also known as plastic. They are synthetically produced to imitate wood finishing and are used as alternative to wood, aluminum and fiber cement siding. Vinyl sidings are used largely for its affordability and durability as synthetic material. They are easy to fix and maintain. They are available in wide range of colors to choose from, and no extra painting would be necessary. They are versatile and can withstand any type of climatic condition. They are today the largest selling type of wall siding in the United States. Vinyl siding thickness does it matter? Vinyl sidings are available in range of thickness from 0.035 inch to .052 inch. Thickness in between 0.044 to 0.048 inches is considered to be the premium ones. There is quite a bit of debate you can find to establish if thickness has anything to do with quality of sidings. Should vinyl siding thickness matter? Most manufacturers claim that products with higher thickness are sturdier and do not crack upon impact. However, there are differences in opinion on this subject. Some sites claim that thickness of vinyl siding has nothing to do with cracking of sheets. Also, they claim it has more dependency on type of chemicals used in manufacturing process. Some test results support this fact.Choosing the one which does not crack is important. There are higher chances that sidings get broken while lawn mowing or snow blows. 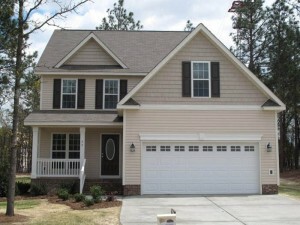 Maintenance can be costlier if a poor quality siding is chosen. It is a common problem that is observed thin sidings. Lesser thickness of vinyl siding means they are not stiffer and tend to sag earlier compared to those which are thicker. Thickness and sturdiness also matters in areas with high wind presence. There are some cases reported where sidings are blown away by high intensity wind. Some manufacturers also claim that it is nothing to do with thickness but more to do with proper nailing. Thickness should not matter if there is a manufacturer warranty against wind damages. Overall, though thickness does not seem to be directly responsible for quality, manufacturer warranty on the same would be reassuring. Here is all you should know about Vinyl Siding. Vinyl is clearly the cheapest siding option available. With improving technology, today we don’t have to bother about things that we used to think about Vinyl siding before. The new coatings on Vinyl (mostly referred to as virgin) prevent them from UV and sunlight exposure. This makes them easier to maintain and durable. There is range of colors available today, in all shades, which makes it wider in terms of variety. This makes it affordable, and mostly maintenance free for years. However, on the other side, there are environmental concerns attached. They are known to be flammable and catch fire very quickly. There are also respiratory health concerns raised by some.